Indian authorities are bringing drinking water by train to the flooded southern state of Kerala, where over 300 people have died and 300,000 are displaced in the worst flooding in a century. Weather officials predict more rains across the state until Monday morning. Indian railway official Milind Deouskar, quoted by the Press Trust of India news agency, says at least two trains carrying about 1.5 million liters (400,000 gallons) of water are moving to the flooded areas from the neighboring states of Madhya Pradesh and Maharashtra. Thousands of rescuers on Sunday continued efforts to get relief supplies to isolated areas. 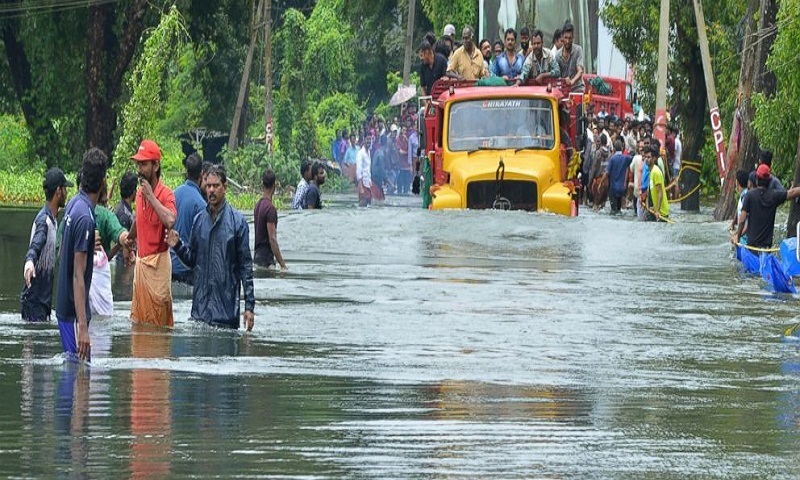 More than 1,000 people have died in seven Indian states since the start of this year's monsoon season, including 324 in Kerala.